Youngsville Cabinet Company, established in 1998, formerly known as Zebrine Woodwork since 1984, is a manufacturer of custom cabinetry and semi-custom cabinetry. Youngsville Cabinet Company is committed to quality craftsmanship, outstanding service, and attention to detail, style, and budget. Youngsville Cabinet Company was started with a vision – a vision to offer affordable, well-crafted cabinetry to the budget-conscience customer who requires style and design. 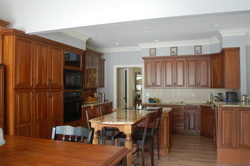 We design and craft kitchens, baths, entertainment-units, built-ins, mantles, bookcases, desks, and more. We have grown from hand-sketched plans and layouts to well-drafted CAD designs as we have moved toward the ever-improving world of technology. Youngsville Cabinet Company began with hand-crafted cabinetry, created from rough-sawn lumber. While we continue to offer custom hand-crafted cabinetry, Youngsville Cabinet Company uses computerized machinery that enhances our ability to construct quality cabinets more efficiently. We carry several lines of manufactured cabinets - we can custom color and finish to your specifications. 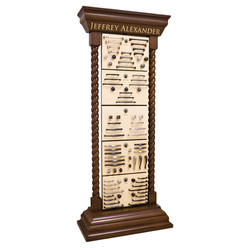 In addition, we offer custom-made cabinets to meet every need. Youngsville Cabinet Company promises a commitment to quality craftsmanship, superior customer service, integrity, and environmental awareness. Raleigh, Cary, Durham, Wake Forest, Youngsville, and surrounding areas. We are committed to the same quality and integrity that the builders demand. Youngsville Cabinet Company has contracted with builders in the area to design and craft cabinetry, reception desks, displays cabinets, etc. for businesses, doctors' offices, schools and other commercial facilities. We can meet all specifications, styles, and budgets. Cabinets - 1P, medium with chocolate glaze. When you are ready for an upgrade or remodel, Youngsville Cabinet Company is there for you. A personal consultation will focus on design, layout, style, and budget. You will find the experience to be professional, positive, and productive as the goal is to meet your needs. 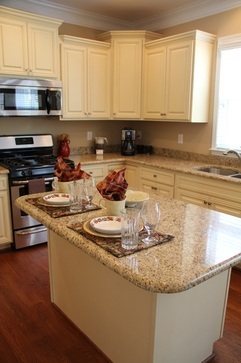 CABINETS, GRANITE, HARDWARE, FLOORING, ETC. 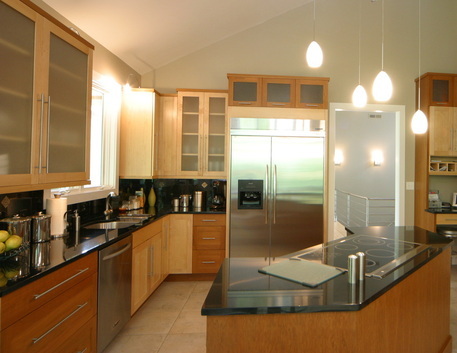 Youngsville Cabinet Company will meet your needs from cabinetry to countertops to flooring. We also have all of your hardware to complete the project.